Jeff was raised in Anchorage since the age of five and returned after completing college. He played hockey competitively growing up and continues to play recreationally. Jeff has worked completely in outpatient orthopedics in several local clinics before opening Alaska Physical Therapy Specialists in June 2004. Jeff is a resident and fellowship trained orthopedic manual physical therapist through the Ola Grimsby Institute and enjoys treating all spinal, extremity and craniomandibular pain. Jeff has had direct education with Mariano Rocabado, PT one of the first PT’s to focus treatment in the craniomandibular and craniocervical region. He is currently in advanced studies with the international CRAFTA program, Craniofacial Therapy Academy. Hockey, mountain biking, skiing and spending time with his wife and two puppies. Michelle Dreeszen, PT, DPT, OCS. Michelle moved to Anchorage in 2011 with her husband, who was born and raised here. She joined the AKPTS team in 2016. Michelle has worked throughout her career in outpatient orthopedics both in Reno, Nevada and in Anchorage. 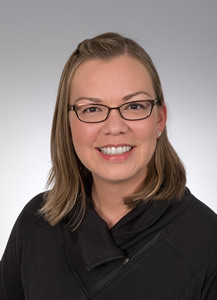 She is a board certified Orthopedic Clinical Specialist and recently completed a residency program in orthopedic manual therapy through the Ola Grimsby Institute. 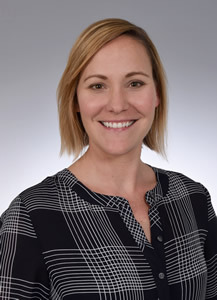 Michelle’s other clinical interests include vestibular rehabilitation for individuals with dizziness complaints and balance deficits, sports rehabilitation, and headache management. Hiking, camping, running, biking, exploring the outdoors, and her French Bulldogs. Shauna was born and raised in Anchorage and joined the AKPTS team in summer 2017. Shauna has 12 years of experience in outpatient orthopedics. She has a strong interest in manual therapy and completed a Residency in Orthopedic Manual Therapy from the Ola Grimsby Institute in 2016. She has also completed the two foundation Dry Needling courses from Myopain Seminars. Shauna’s other clinical interests include sports rehabilitation and vestibular rehabilitation for individuals with complaints of dizziness and balance deficits. Marathoning, skiing, fat tire biking, playing women’s ice hockey, hiking, and fly fishing.